United Kingdom. 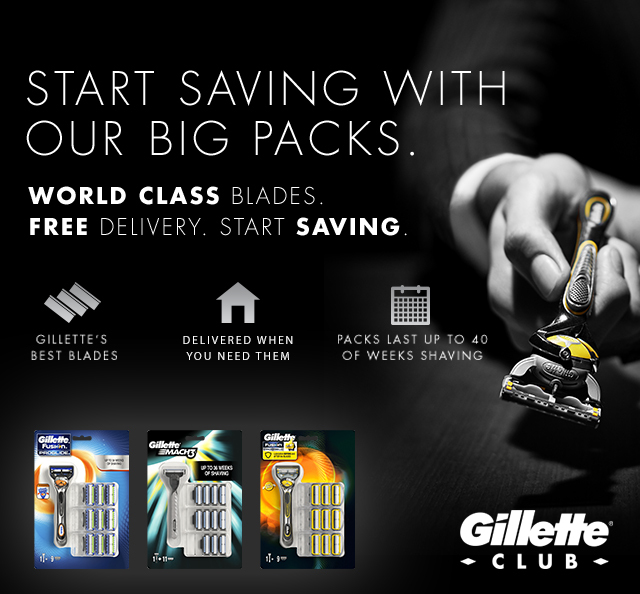 June 2016: Gillette has partnered with major retailers across the UK to deliver a convenient and easy way for the modern man to get Gillette’s world class blades shipped right to their front door, whenever they need them. 1. Visit www.gillette.co.uk/club to select your preferred retailer. 2. Choose from Gillette’s best blades. 3. Personalise your plan based on your shaving frequency. 4. 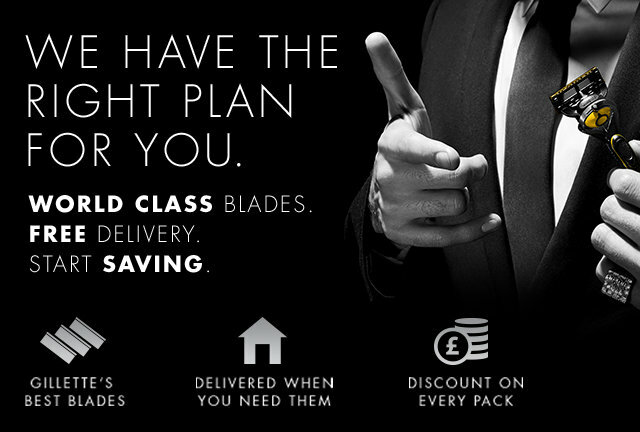 Order and get blades delivered to your home. With over 100 years of experience leading the male grooming industry, Gillette knows that today’s men are busier than ever before, and Gillette Club, through our retail partners, exists to help make life that little less stressful so men can get on with the things that matter most. Gillette Northern Europe Brand Manager, Tina Koehler says: “Gillette founder, King C Gillette once said, ‘we’ll stop making razor blades when we can’t keep making them any better’ – this ethos runs throughout everything we do to improve the shaving experience for men. This includes adapting the ways men can buy our products to ensure we are better meeting the needs of the busy modern man, by taking out the hassle of having to remember to shop for blades”. On average, men use their last razor cartridge over four times longer than the previous three resulting in an inferior shave as the razor nears the end of its life. To raise awareness for Gillette Club, Gillette has launched a national advertising campaign in the UK. The campaign heroes the concept of Gillette Club –showcasing the idea that its offer is so good, it can’t be for real. The campaign, fronted by a digital film, is aimed at encouraging men to sign up and get blades shipped right to their front door, whenever they need them. Gillette Club will be available through retail partners including Amazon and Superdrug.